How Much Should I Have In My Emergency Fund ? Posted on September 21, 2011 by John Kvale CFA, CFP | Comments Off on How Much Should I Have In My Emergency Fund ? A Scouts # 1 Motto “Be Prepared” is applicable to all of us, as a foundation of Financial Planning is to always have an emergency fund. 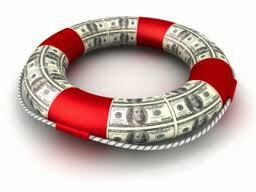 A solid emergency fund forms the foundation of a financial plan. Just as our home is built on a strong foundation and hopefully withstand the storms of life, a good financial foundation starts with an Emergency fund. So How Much Should I have in My Emergency Fund? The absolute minimum is 3 months expenses and with today’s interesting environment, we would error on the side of a higher level of closer to six months if possible. It is safer to error on the high side rather than low. So Where Do I put My Emergency Fund? Short of a mattress (kidding of course) we suggest your emergency funds be very safe. Do not stretch for high returns on your safe money! Rates are low, but so is inflation. Your emergency funds need to be there when, and if, there is an emergency, so again, do not stretch for returns. Through the ins and outs of life there will be times when our emergency fund falls below our target zone, that is ok, and expected. Do not worry, but keep your eye on the appropriate level, and try to get your funds back to the appropriate level as soon as possible. In times of stress, a healthy size emergency fund may keep one area of stress a bit lower. Comments Off on How Much Should I Have In My Emergency Fund ?